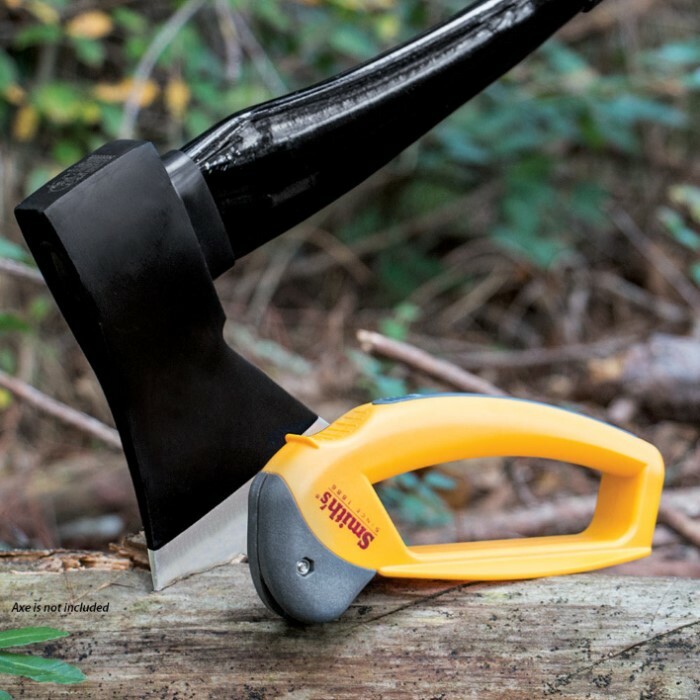 Smith Axe And Machete Sharpener | BUDK.com - Knives & Swords At The Lowest Prices! 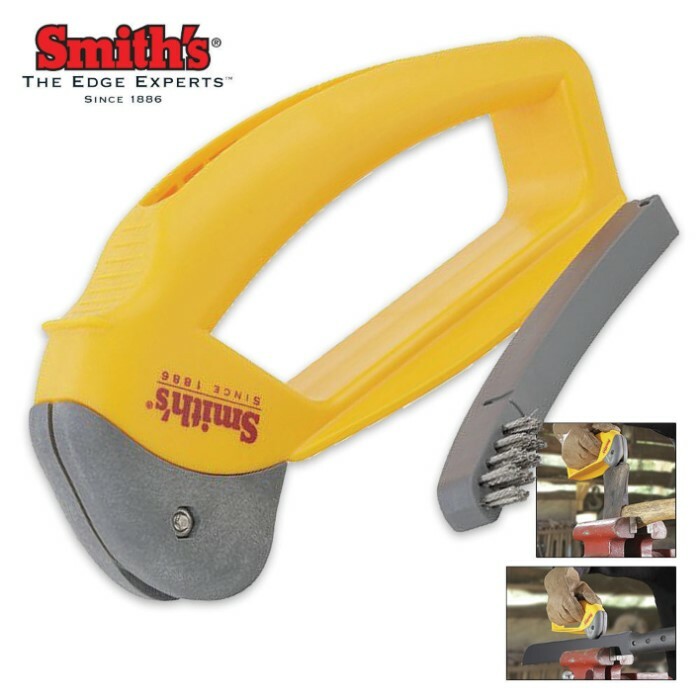 Smith's Axe and Machete Sharpener quickly sharpens your axe, machete or hatchet with a few easy pulls. 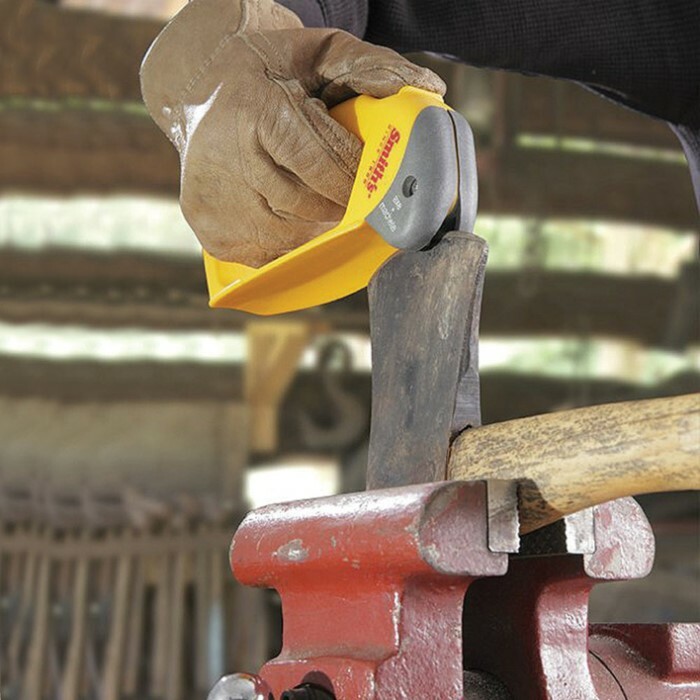 The weighted metal head provides durability and easier sharpening. The oversized handle and large safety guard helps you to use the sharpener safely. The handle houses a cleaning brush with wire bristles. Replaceable carbide blades are included. You know Smith is the premium sharpener for knives, so, now they add axes and machetes to their incredible line-up! Don't trust your blades to anyone else!